Back in the last decade, APIs sparked as much passionate discussion as container technologies do today. API management companies emerged to help companies open their own apps to be used with other third-party services. Companies came to rely on APIs to build composed services using REST-based APIs. It was exciting to see how apps and services could be so connected. Over the past five years, the container market and cloud-native market came to prominence due to the need for better packaging, deployment and scaling of microservices. These issues became real problems that are now primary issues to resolve. That has led to a rethinking from machine to app-centric infrastructure. What is the course now for the market? Is it about the need for a new thinking for how we think of APIs, the flow of data and how services can adapt? Are APIs sufficient? What is working, what is not? In this episode of The New Stack Analysts podcast, we talk with Tyler Jewell, the new CEO at middleware platform provider WSO2 and API evangelist Kin Lane, both of whom talk about the need for a new thinking of middleware, event-based architectures and the need to rethink the dogma of REST. Is the structure and binding of REST sufficient in a time when data is by its nature unstructured and unbound? 9:38: What is needed to continue the development of the API market? 15:52: Decoupling of APIs to extract value from individual services. 17:18: Do two-tiered scheduling environments such as those used in Kubernetes and Mesos make sense for the downstream API market? 22:09: Graph APIs in the mainstream market rather than focusing on its use Silicon Valley. 25:09: What’s missing for developers wanting to better serve cities in providing services for their customers to access their data? 27:22: The need for continued evolution of programming models for services. 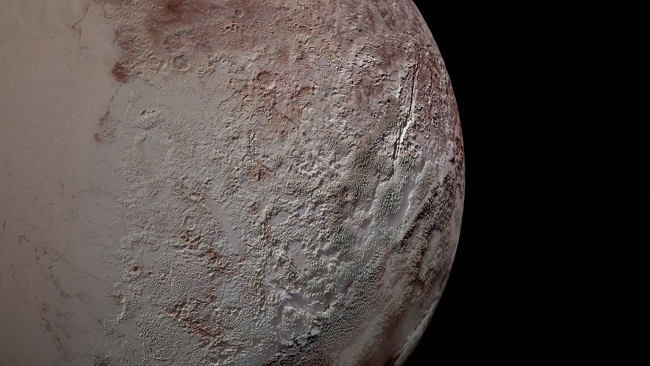 Feature image: Pluto’s Bladed Terrain via NASA’s Astronomy Picture of the Day.